A massage relaxes chronic tension and pain in muscles, improves circulation and increases flexibility in the joints, and reduces metal and physical fatigue. In addition, massage is one of the most effective means available to combat stress. Reduce tension and relieve the negative effects of everyday stress. 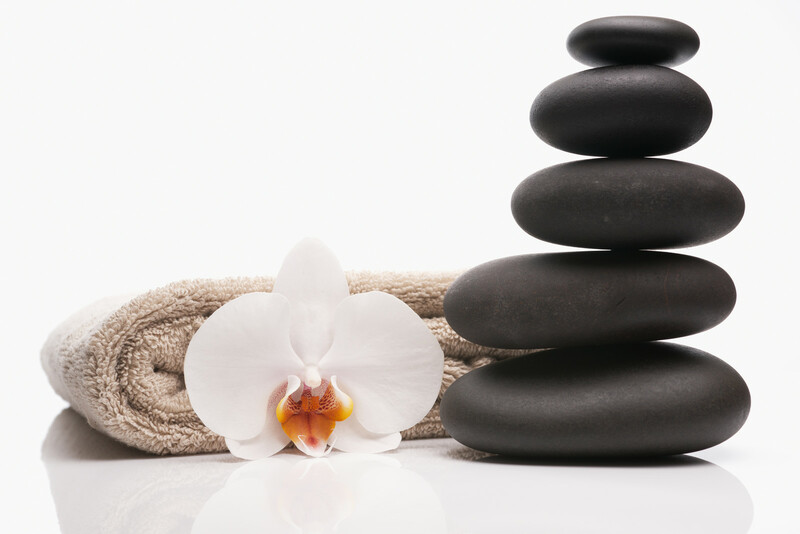 Our certified massage therapists will restore your sense of well-being with customized combinations of Swedish, sports, acupressure, medical, reflexology, Reiki, and myofascial connective tissue work. Three physical effects of therapeutic massage are well documented in scientific research: release of muscle tension, increased circulation, and initiation of the relaxation response. Each effect, though simple in itself, can result in multiple benefits. Assist with any condition where stress may be a factor, such as headaches or asthma. For couples, families. Call for details. It is using hot and cold lava stones in conjunction with energy and Swedish and deep tissue techniques. Use cold stones for injuries and alternating warm and cold stones for tissue repair and stress reduction. Thai Massage seems to perfectly support and integrate virtually every other healing method, from chiropractic and osteopathy to many other medical practices. Our most popular body massage includes a deep cleansing, exfoliation, rejuvenating, masque, and nourishing moisturizer. A light face, hand and foot massage with aroma therapy completes this experience. Removes unwanted toxins and helps with inch loss and reduction of cellulite. This relaxing back treatment begins with a deep cleansing of the back, followed by exfoliation and a light massage with essential oils, to leave you relaxed and your skin radiant! also includes a free facial. Body walking allows for a deeper, higher-quality, more sustained and controlled pressure, resulting in total muscle release. Especially effective for athletes and large framed persons. Gentle, but firm massage to release the tension in the lower back, legs and feet. Also includes tips on how to give your new baby a massage. Therapeutic hand, neck, shoulder, back and foot massage is designed for a man’s back, hands and feet. A free facial is optional. Working those tight, sore muscles, removing lactic acid, releasing the stress on the muscles. Working with your physician/chiropractor to get your body in balance with acupressure and massage, to help release the tension on the nerves, loosing up the muscles. Example: sciatic nerve- by releasing the tension on the muscle, reducing the pain caused by the nerve. Working the skull can actually release tension and increase endorphins. Light, slow pressure on the skull gives the impression of floating on a cloud. This is great for headaches. Optional feet, hands and stomach, and aromatherapy with treatment.